Social video expert Unruly evaluates the latest Three viral campaign, with "ones to watch" from Sol, Oreo and Pringles. It is not hard to see why this has been such a hit. You just can't escape ponies right now. If they are not invading our microwaveable lasagnes, they are moonwalking their way to the top of the Unruly Viral Video Chart. 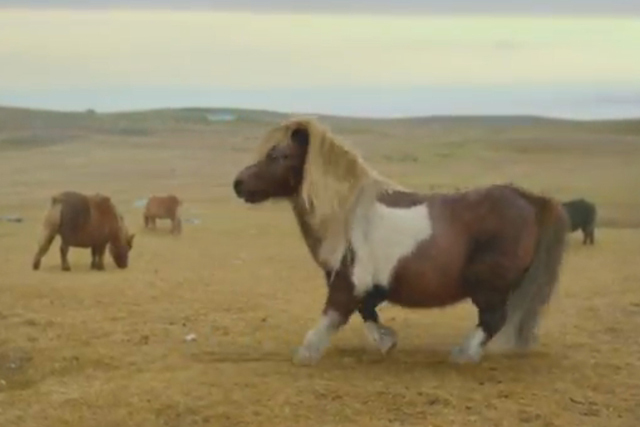 It's about time horses had some good press, and thanks to a dancing Shetland pony, the star of mobile network Three's campaign, they have finally got it. The work - which positions Three as the mobile network of choice for web users - aims to celebrate the UK's love of sharing 'daft content we find and share on the internet'. Judging by the success of the ad so far, that proposition is spot on. In the first week since its release, a quarter of the people who saw the ad went on to share it on social media. Add into the marketing mix the hummability of the soundtrack, how hot a topic horses are right now and the general quirkiness of this video, and it is not hard to see why this has been such a hit. Mexican beer Sol entices office workers in London's Canary Wharf to 'recycle' their ties in exchange for a free beer. The film, created by The Marketing Store, is part of a wider experiential campaign. Oreo reckons it is a 'basic human desire' to separate its cookies. Wieden & Kennedy creative David Neevel has gone one step further and made a machine that takes apart the chocolate biscuits. Pringles' digital campaign, created by glueisobar, revolves around a game that introduces a 'Pringles fan' character who will 'take on' new flavours of the snack in head-to-head challenges.